Every Fireman needs their trusty dalmatian by their side! 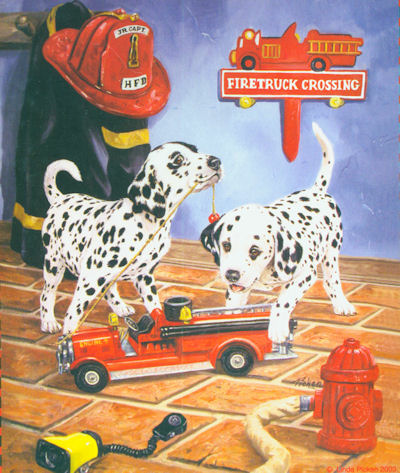 In this puzzle two fire rescue dogs are enjoying their playtime in between saving people from burning buildings. This puzzle 15.5 x 18. 200 Piece Puzzle This puzzle is Eco-Friendly and printed with Soy-Based Inks on Recycled Board. Proudly made in the USA.